Greeting from Nepal…wish you were here! Photo taken after the Thorung-La pass, Annapurna Trek, Nepal. Here is a continuation of yesterday’s postcard. This is the long hike down following the mule trains after the pass. Yes, it was exhausting yet exhilarating all the same. The landscape here is so diverse. 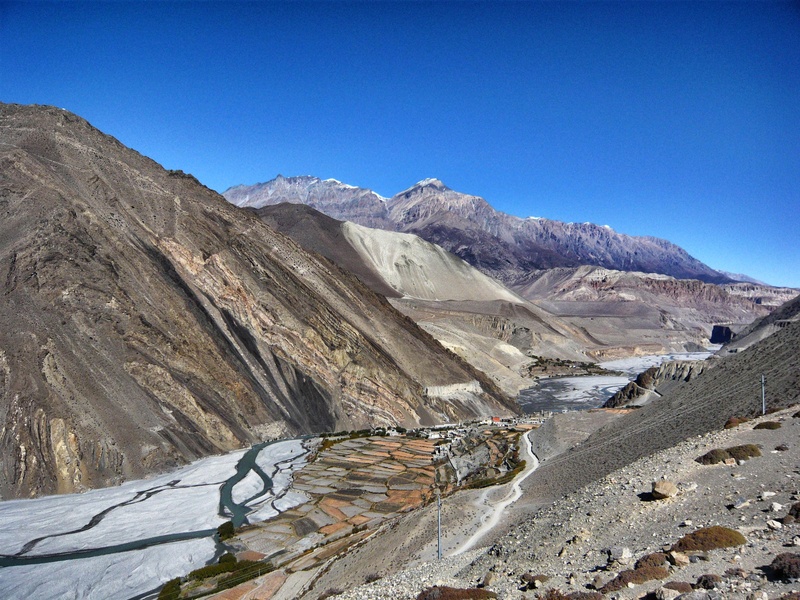 It is near the remote Mustang area of Nepal and much more barren and brown. I felt like I couldn’t have been further away from civilization than here.